Bali: known as the "Land of the Gods" can be a spectacular destination for any age group - enjoy a wealth of holiday activities from partying at Kuta, yoga in Ubud or challenging surf at Uluwatu. With Bali enjoying an increase of visiting Kiwis, it needs to be understood that travel insurance is not just a good idea, but should be a priority for any Kiwi when visiting this enchanting destination. 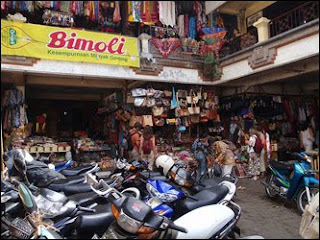 Bali is a slightly different travel experience than a few days across the ditch or in any other first world location. Beautiful - yes, relaxing - sure, but keep in mind some common Bali experiences not mentioned in the travel brochures which can leave the Kiwi traveller with a seriously reduced bank account, not to mention other events which may not be compensated for such as loss of personal goods, permanent injury and reduced work capacity. While the majority of holiday makers enjoy Bali without accident, it helps to be prepared and insured. Illness while in Bali is often a result of food poisoning, allergic reactions or similar scenarios. Generally this does not require hospitalisation, however in extreme cases travellers have had to be hospitalised to stabilize their condition. Luckily the individual had taken travel insurance that came to the party covering the cost of their hospital stay. One of the more common mishaps awaiting the Kiwi in Bali is the good old traffic accident. Motorbikes are the most common method of transport enjoyed by locals & visitors alike. While claims are not paid if the claimer is under the influence of alcohol, Balinese roads are a mine-field of injuries waiting to happen and one of the most common travel insurance claims submitted involves travellers riding a moped. Holiday goers in party mode often fail to appreciate the often hazardous nature of Balinese roads with its alien road etiquette & shambolic traffic. Remember, with motorbikes being a common form of transportation and the poor infrastructure of roads, broken bones are as common as Bali belly! Luggage thefts, handbag snatching, pick pockets & other acts of robbery can leave a traveller without their most valuable personal possessions. Insurance provides a safety net if your credit card or passport are stolen, lost or damage when travelling. With credit card fraud on the rise, travellers need to be careful when using cards in restaurants or retail outlets, as it has been reported that staff take down the credit card number for use after the owner has departed the premises. As indicated above, any of these situations can occur during your travel schedule and can become very disruptive to your vacation plans.If you have ever heard of a flight being canceled without notice or multitudes of passengers on a cruise ship experiencing a widespread illness, you know that it can happen to anyone. Those that have the foresight to take out travel insurance will still experience the disruption, but will be compensated based on their policy. One of the best Bali Hotels in Indonesia is locating at Seminyak Bali. You can find the best Bali Hotels online just visiting this site http://www.the-residence-seminyak.com you can find the best place in Bali Indonesia. Respecting the time and exertion you put into your blog and nitty gritty data you offer!